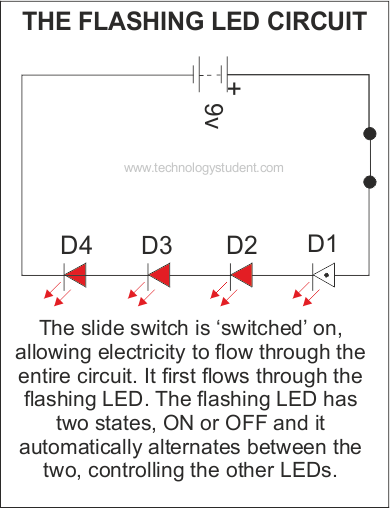 You should now have a good understanding of the way the flashing LED circuit works. 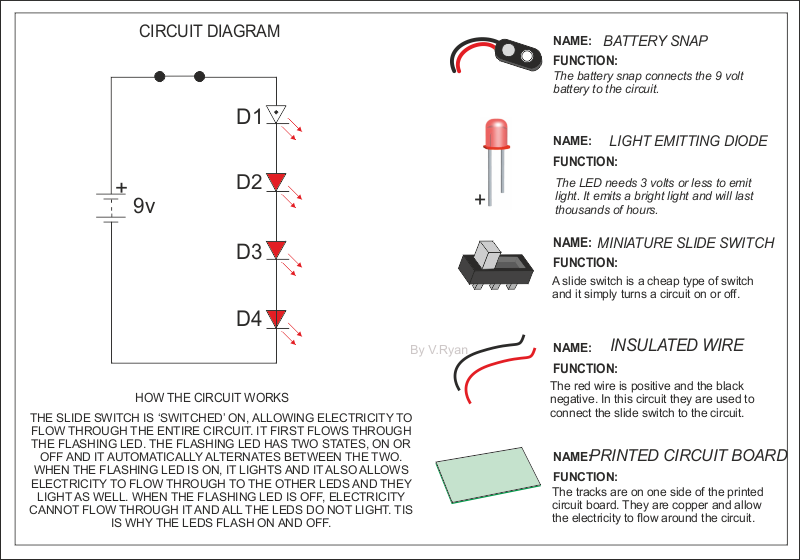 Draw a circuit diagram and information sheet, based on the sample below. 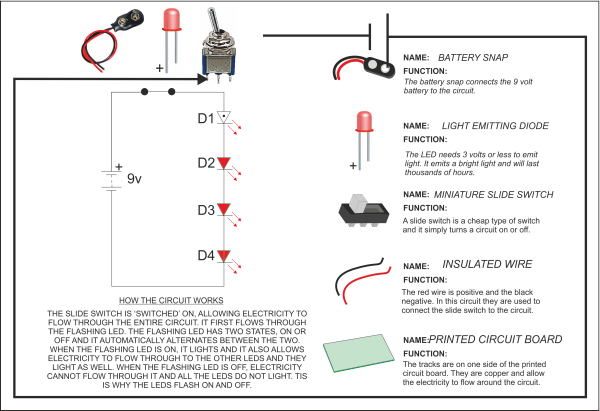 Include a circuit diagram, an explanation of the way the circuit works and information about each component. Use a decorative border rather than a plain border. Add a title at the top of the page, using an individual font (you could even design your own font / writing style). Try producing a small 'revision card' that includes all the key points about the circuit.